Idyllic setting, yet close to everything... On 3+ acres, this lakefront home offers everything you can imagine. 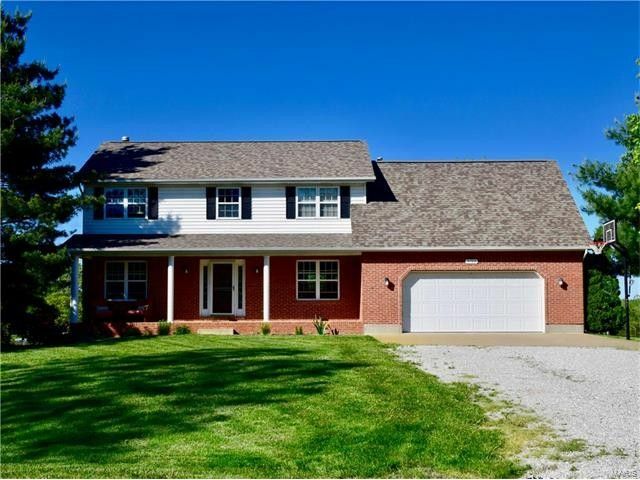 Walkout basement, open concept design, updated master bath, updated mechanicals, the list goes on & on. From the moment you walk into the 2-story foyer, you will fall in love with the open dining room & kitchen. With Cambria quartz countertops, center island with breakfast bar, and stainless steel appliances, this kitchen is an entertainer's dream. Directly off the Breakfast Room you will find an oversized family room with a stone surround gas fireplace. The vaulted master bedroom has an amazing bathroom suite with a HUGE walk in shower, adult height vanity, and walk in closet. The 3rd bedroom has its own access to the main bath. Enjoy your summer days kayaking or canoeing on the lake or hosting BBQ's in the expansive backyard. Oversize garage. 2nd floor laundry. Sump pump '17, HVAC 10/16, septic motor 12/16, garage opener '14, roof '13, appliances '12. Agent related. Directions: Rt 3 to Sportmen Road. Right on Grandview Terrace. Home is on the right.